Picture, if you will, the opening scenes of next year’s blockbuster, The Quagmire — a dramatic account of America’s descent into the war in Vietnam. The film opens on young Lt. Lyndon Johnson of the U.S. army. He is stationed in Tokyo in the 1950’s. As the opening credits roll, he is sulking away from the base’s fancy officers’ club, his application for membership having been rejected. He realizes that try as he might, with his poor Texas upbringing, he will never be one of them. Stung, he ventures out into the field, across the Asian continent, turning over those stones that the well-to-do ne’er-do-wells back at the club couldn’t be bothered with. While travelling through Indochina, he sees up close the resistance to French rule and, in it, sees opportunity for a young soldier! Meanwhile, while passing through a village, he falls in love with a Vietnamese girl, who ultimately abandons him, because his poor Texas upbringing means that, try as he might, he will never be one of her people. Ten years later, now President of the United States, Johnson signs an order sending half a million troops into Vietnam. He stares at the map of the land he is about to destroy…. We cut to the map, and then a misty shot of the village where long ago, he found love, and love was denied him…. Yeah. If audiences were shown the above tale of Vietnam, they would laugh it off the screen. No matter how it “captured the spirit of the age” and dealt with important issues about America’s changing role in the world, those few little imagined pieces of history would remove it from serious discussion. And yet? A film that takes liberties just as brazen and ludicrous with real life figures, a film that inserts similarly imaginary motivations into real life events, is being celebrated as a gripping drama and lauded by critics across America. It has won the Golden Globe for “Best Motion Picture: Drama” and is currently easily the front-runner for the Academy Award for Best Picture of 2010. Yes, The Social Network is, no doubt, a finely crafted work. The acting is impeccable, the dialogue is zippy and zings along. As writer Aaron Sorkin himself pointed out in his bizarre speech last night, David Fincher made a story about computer nerds typing as entertaining as such a subject matter could possibly bear. But that’s not all he said. That Sorkin thanked his researcher in his speech was audacious, at best. Any film that treats history as flippantly as The Social Network does deserves to be taken as seriously as the new Yogi Bear adaptation. The film’s misstatements have been well documented. The jilted love affair that drives Mark Zuckerberg to create Facebook is invented. The resentment against the Harvard elite clubs that drives him to create an alternate society is invented. The claims of others involved in the creation of Facebook are given vastly too much credence in the film. Zuckerberg is portrayed as an angry, vengeful sociopath, which by most accounts and all appearances, he is not. But other than that, it says a lot of fascinating things about the era. A dramatic work need not be faithful to every fact of history. We do not expect dramatic films to be moment-for-moment, not-a-hair-touched recreations of history. Even documentaries are forced to exercise some altering power in deciding what to leave in and what to cut. The Social Network offers no such disclaimers. In a narrative punctuated by legal deposition, it strives for hyper-realism, suggesting strongly that these events did happen as they are being shown. In doing so, it far exceeds the limits of any commonly understood dramatic license. We do not even regularly demand of dramatic recreations that every line of dialogue was actually spoken as portrayed. We can be tolerant of entire scenes and sequences being invented. But we only allow the filmmakers that leeway so long as we can trust that the scenes, the sequences, the characters, the dialogue created are in order to help dramaticize points that are in themselves true. His project not only oversteps its bounds, but is fundamentally dishonest about its nature. 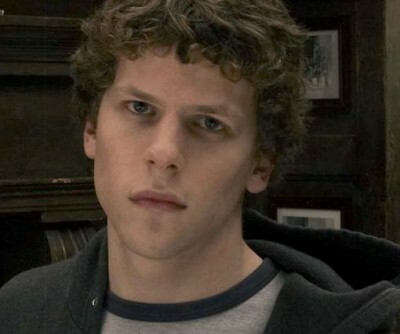 The Social Network is not the story of Mike Zipperberg, creator of Smilepages. It is the story of the making of the most-visited website in the United States! Whose creator is himself the most famous entrepreneur our time! By telling us the story of Mark Zuckerberg and Facebook, the film asks the viewer to do half its work. You are to bring into the theater all that you know about Facebook and all you may have heard about Mark Zuckerberg. This film functions essentially like an “origins of the superheroes” comic book, showing you how the pieces fell into place to create this entity that you know well. And if that is the mission of your script, you are obliged to make some attempt to get the very basics right — not to just walk away from them in the interest of making bigger, more imaginary points about the era. Another current release shows just one of the many ways in which nonfiction can be handled. In All Good Things, the authors create a drama that is, as they indicate, merely inspired by events — in this case, the well-known disappearance of the wife of Manhattan real estate heir. Wishing a bit of latitude to dramatically explore the characters as they see them, the screenwriters changed the names of the protagonists from the real life people, taking it upon themselves to create characters and the world they inhabit. That is fine! Specifying this is a fictional world, no one expects them to stay absolutely true to the real facts, and no one takes the fictional version as a reflection on the literal truth of the case. Also no one gets sued. In Richard Roeper’s year in review, he called The Social Network “the definitive look at the way our world has been changed forever by a site that turns everyone into the star of their own personal movie.” That a movie that invents the basic facts of its own tale can be considered “the definitive look at the way our world has been changed forever,” by no less than one of our most esteemed critics: this is a far more defining statement about our times than anything Aaron Sorkin has ever written. Richard Rushfield is the preeminent American Idol scholar of our time, and author of the forthcoming Hyperion book American Idol: The Last Empire. He is also the author of ;Don’t Follow Me, I’m Lost: A Memoir of Hampshire College in the Twilight of the 80s.